Management of safety, of those on the hill, or being coached/lead. Annual membership data is collected for the administration of the club and the management of results. Where an athlete requests, basic identification data will be sent to England Athletic, to register for national and international competition.EA will provide the athlete with facilities to maintain and update their personal data. Dark Peak does not manage people’s EA data on an on-going basis. Membership information collected for minors is only done so with the consent of a suitably authorised carer.Update, or change to that information will only be undertaken at the request of a suitably authorised carer. Dark Peak members have the option not to have their race results published on the club website. 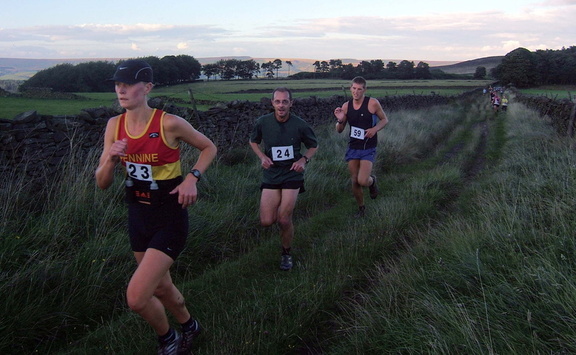 Dark Peak retains race results in perpetuity. Dark Peak membership data and results are hosted on servers located in the USA. In addition to personal data gathered from membership forms, Dark Peak holds coaching related data. These data include coaching license data, Disclosure and Barring Service (DBS) (or similar) records and records relating to coached events and any review activities. In the event of an incident, or disciplinary activity; including in relation to matters of welfare and safe-guarding, Dark Peak will maintain necessary records of personal information pursuant to the matter. Dark Peak reserves the right to share these records with law enforcement agencies and national governing bodies as necessary. As an affiliate of the Fell Running Association (FRA) and UK Athletic (UKA) (The Governing Bodies), Dark Peak are obliged to support administrative activities of The Governing Bodies relating to individual athletes. Dark Peak will engage in processes required by The Governing Bodies, as described in The Governing Bodies agreed, published, process documentation. In accordance with these processes, Dark Peak will exchange necessary personal data with the governing bodies upon request. Where requested to do so by The Governing Bodies, Dark Peak will confirm the status of a signed up member and provide date of birth, if requested for pertinent reasons. In the event of an incident on the hill, where concern exists for the health and safety of an individual, personal information may be used and shared, with any necessary individual or agency at the discretion of those members in attendance, or contacted in support of the incident. Dark Peak does not share member, or other personal data with any commercial entity, or other entity not described above. It is the policy of the Dark Peak Fell Runners (DPFR) to ensure that everyone who takes part in fell running activities promoted by DPFR should be able to participate safely, considering the inherent hazards of the fell running environment, and be protected from neglect and physical, sexual and emotional abuse. This Welfare Policy explicitly focuses on children and young people but the principles and codes of conduct apply to everyone. appendix - Incident Report Form. The key principles of this policy are as follows. All fell runners whatever their age, culture, ability, gender, language, racial origin, religious belief and/or sexual identity have the right to protection from abuse. Anyone under the age of 18 years is considered as a child for the purposes of the policy. They will be referred to as a child from the perspective of parents and child protection and as a junior from the perspective of fell running. In all activities and decisions involving juniors, the junior’s welfare is paramount. Coaches, event organisers, and helpers will be provided with documentation and support to ensure they can implement the policy. Adults working with juniors should be aware of, and always adhere to good practice. Working in partnership with juniors and their parents/carers is essential for the protection of the junior. Adults working with juniors will be protected from wrongful allegations. DPFR recognises the statutory responsibility of Social Services departments to ensure the welfare of children and it is committed to working with Local Area Child Protection Committees, and, where appropriate, to comply with their procedures. To ensure the effective implementation of this policy DPFR, primarily through the Welfare Officer and Junior Coordinator, will work with race organisers, coaches, helpers and other individuals to ensure the welfare of the juniors in their care. To develop, monitor and review welfare policy, ensuring compliance with UKA welfare policy. To promote amongst clubs, coaches, race organisers, fell runners and helpers’ awareness of the policy, of good practice and of the legal Framework in this area. To encourage and facilitate adherence to the policy and implementation of statutory regulations relating to child protection. To initiate action on reports when appropriate. The Codes of Conduct describe good ethical conduct and practice for fell runners and those groups sup-porting and developing fell runners and managing the sport. Maintain confidentiality of any junior involved in incidents or cases and of any adults, unless disclosure is required or recommended. Uphold the same values away from fell running as you do when engaged in fell running. if you retire, following the organiser’s retirement procedure. Tell parents, carers or the Club Welfare Officer immediately if anything makes you concerned or uncomfortable or if you suspect a club mate has suffered from misconduct by someone else. Never make assumptions about your child’s safety. Follow the Access and Environmental Guidelines for Organisers of Fell Races. Report similarly any suspected misconduct by other coaches or other people involved in fell running. England Athletics Club Welcome Pack Template. This document provides codes of conduct for athletes and all groups supporting athletes and running athletics. Download a copy of the DPFR Welfare Policy (including incident form) (May 2018).